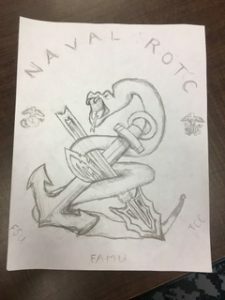 The FSU-FAMU Naval ROTC unit is in the process of designing a new logo. They have a rough sketch of the idea, but are unable to clean it up and digitize it and are looking for someone with experience in the area of graphic design to do so. Ideally this would be completed by end of July, and the student will be compensated for their time. Contact Jack Burns for more information.